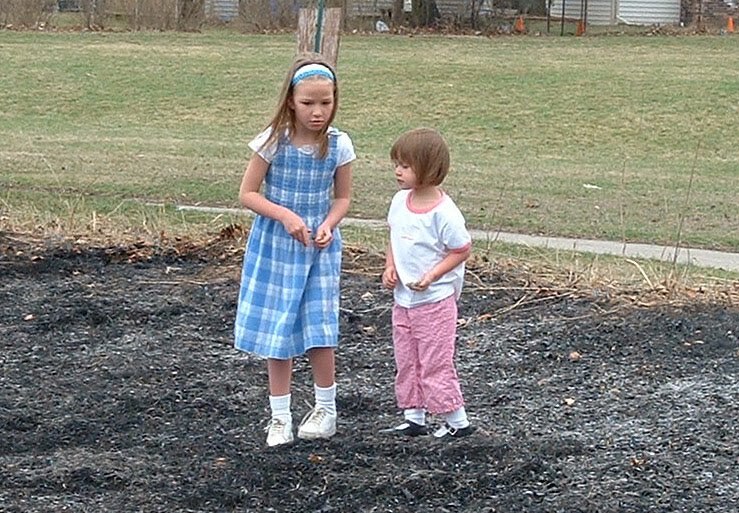 Join us to welcome Spring with the annual prescribed burn at Buhr Park Children's Wet Meadow! 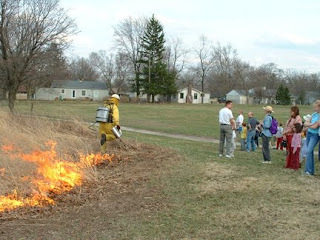 Starting at mid-afternoon, trained experts from the City of Ann Arbor's Natural Area Program will explain safety measures, then ignite last year’s dry stems and leaves. One parent says, "It's quite a sight - my daughter has gone to prescribed burns from age 2 and loves them. I think it's quite safe for kids of any age if they're with a parent." Although burning may seem destructive, fire actually serves to stimulate vigorous new growth of native plants, controls the invasion of undesirable plants, warms the soil and releases nutrients. Fire allows diverse native plant and animal communities to thrive in natural areas. After the fire is safely out, children will scatter seeds that were collected last Fall, and dance or sing to encourage new growth. In a few weeks the meadows will be springing back to life, better than ever. If the weather permits, consider bringing a picnic supper. Come and go when you like. The event is free and open to the public. Buhr Park is in east Ann Arbor, at 2751 Packard (on the north side of the street) between Eisenhower and Platt. Children must be accompanied by a parent.